Looking for Load Centers? Get a quote fast. Safely protecting and distributing your electricity. 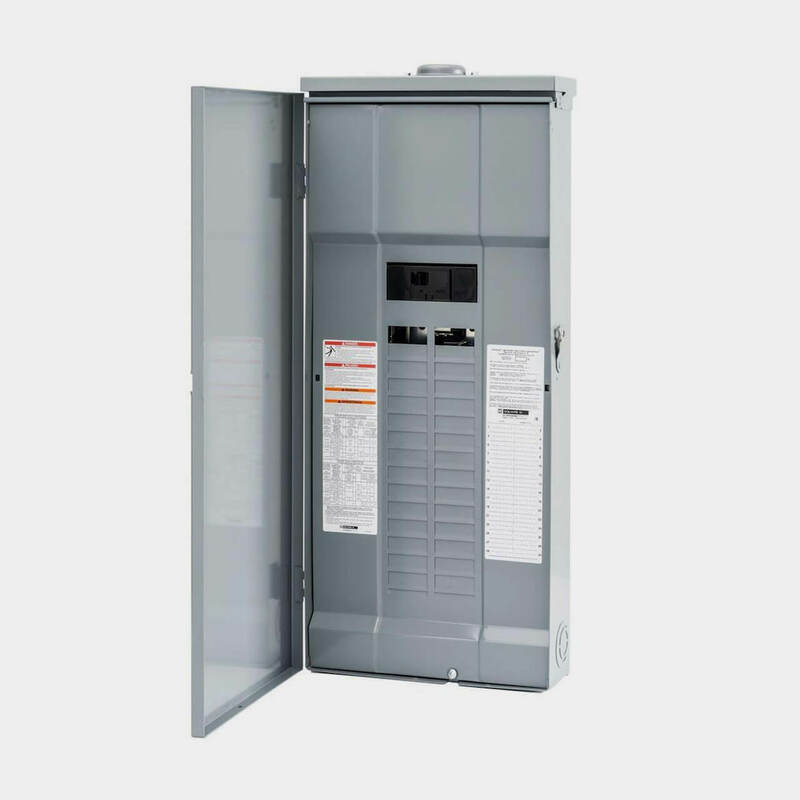 Load centers, also referred to as fuse boxes or breaker boxes, are used to distribute electricity throughout a building and its different receptacles. They house the main switch (which supplies the electricity to the building) and residual current devices (which trip in overload situations and other emergency conditions). The large majority of load centers are used for residential applications, both small-scale and large-scale, though they can be used in light commercial applications as well. The two main categories of load centers. All types of load centers from meter load centers to ground fault load centers to arc fault load centers can be divided into two main categories: main breaker and main lug load centers. Main breaker load centers are always service entrance-rated, while main lug load centers typically are not. Main breaker load centers receive incoming power through the main breaker, which goes through the load center, which then distribute power throughout its various connected circuits. 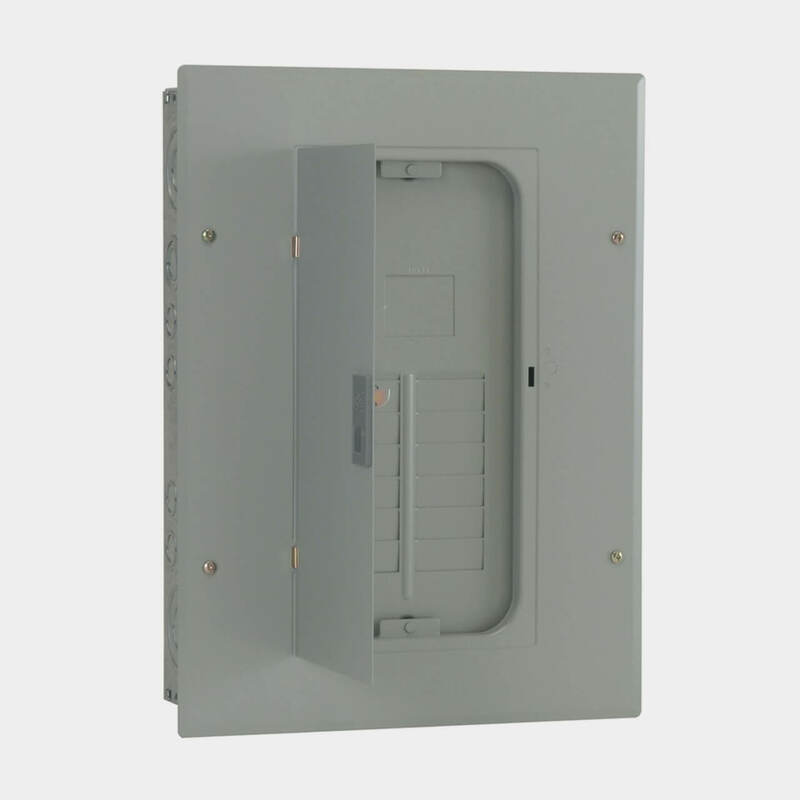 The main breaker also provides overcurrent protection and can halt power flow if necessary by serving as the main disconnect. Main lug load centers, on the other hand, do not have a main breaker. Incoming power feeds directly into the bus bars or main lugs. 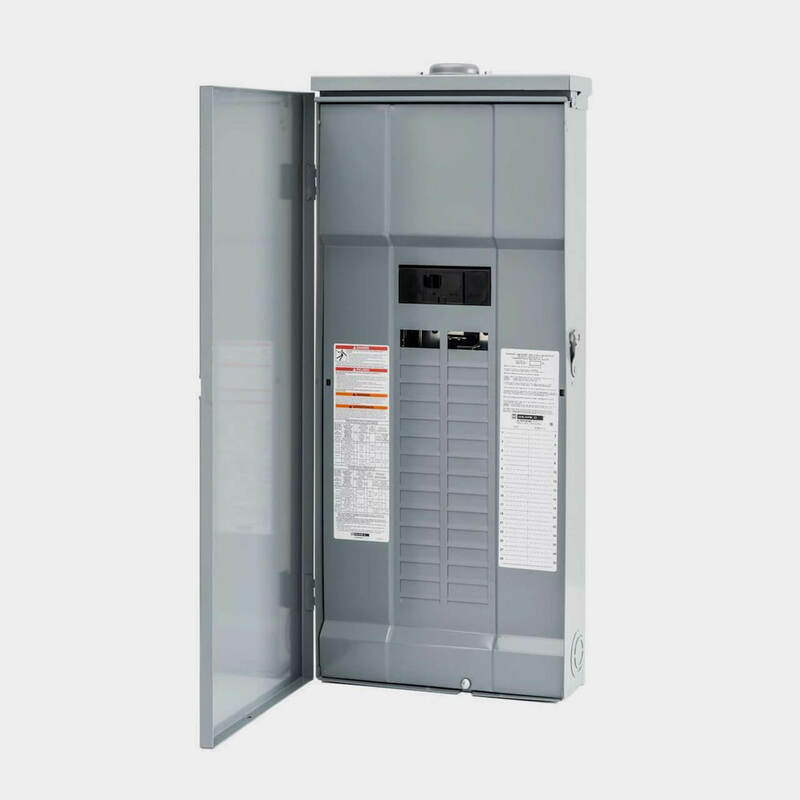 Circuit protection is not built into a main lug load center and a circuit breaker located further down the line of the electrical system provides overcurrent protection. Your next load center is waiting for you at Bay Power. When you rely heavily on your load center, you need the best quality the industry has to offer. So whether you need a Siemens EQ load center or a Square D QO load center, Bay Power has all the top load center brands you’re looking for. Take your pick from ABB load centers, Eaton load centers, Cutler Hammer load centers, Schneider, Bryant, Murray, and more. And no matter what load center you choose, all of our products are backed by Bay Power’s one-year replacement warranty. Main breaker load centers have a main breaker built in. This means that all incoming power from the utility goes through the main breaker before being distributed by the load center to its branch circuits. 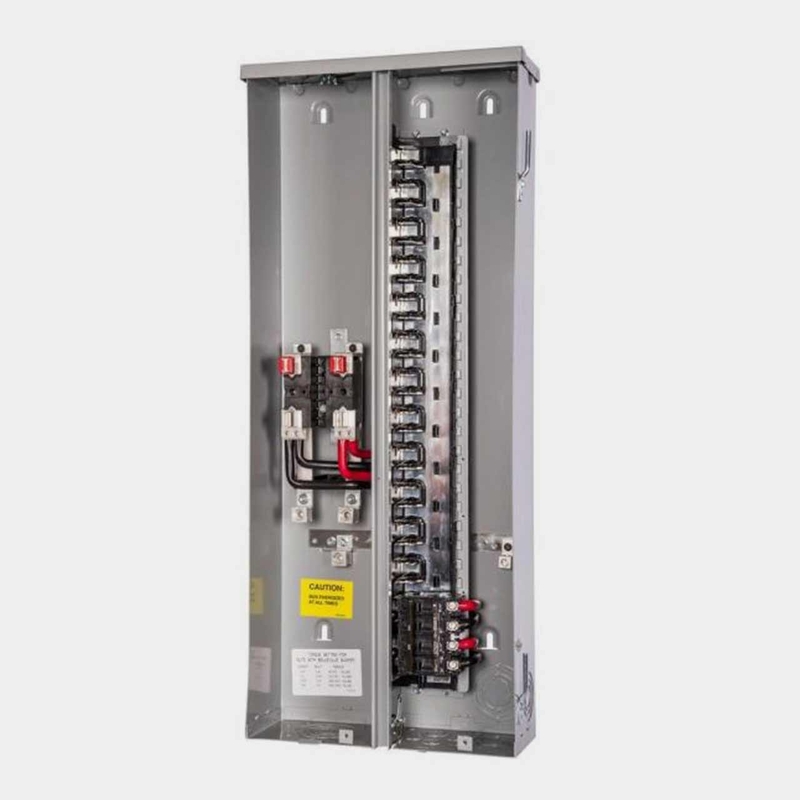 The main breaker also serves as overcurrent protection and will disconnect the load center incoming power if necessary. Main lug load centers, unlike main breaker load centers, do not have a main breaker built in. However, main lug load centers can be used when a main breaker load center runs out of circuit space. While they do not have built-in circuit protection, overload protection for main lug load centers is located remotely, or further down the line of the electrical system. Used in photovoltaic applications, solar load centers are used to harness solar power and distribute it throughout an electrical system’s branch circuits. These are commonly used as residential load centers though they can be used in light commercial applications as well. Solar load centers are service entrance rated equipment, and are installed close to the electrical utility. Have any old or unused Load Centers lying around? Don’t get rid of them just yet. While we stock a wide range of quality electrical products and solutions, both new and reconditioned, we also buy back your unwanted equipment. So, before deciding what to do with your old Load Centers and components, have one of our expert technicians take a look to see if we can save a few parts, save the environment, and save you some cash. Great service shouldn’t end after the purchase. We pride ourselves on the relationships we build with our customer-first mentality and the quality of our Load Centers and components. That’s why we offer a 1-year replacement warranty on all of our electrical products and solutions from the top manufacturers. Because when you buy with Bay Power, you buy with confidence. We are proud to stock a variety of competitively priced, new and reconditioned components from the leading manufacturers of Load Centers. Thanks to our extensive inventory of Load Centers and components, our resourceful and expertly trained staff will always be able to get the products that you need. Through our extensive network of suppliers, we are able to carry and acquire a huge variety of electrical products and solutions, so chances are if you need it, we can get it. Bay Power’s priority is providing you with reliable, high quality electrical hardware. That’s why our mission is to make sure our reconditioned electrical products and solutions function as perfectly as the day they were built. Because while the quality is high, the cost of Load Centers shouldn’t be. Our selection of new surplus Load Centers may not arrive brand new in a box, but they function just as well, and have never had electricity run through them. All of the quality, none of the packaging, always with our 1-year replacement warranty.